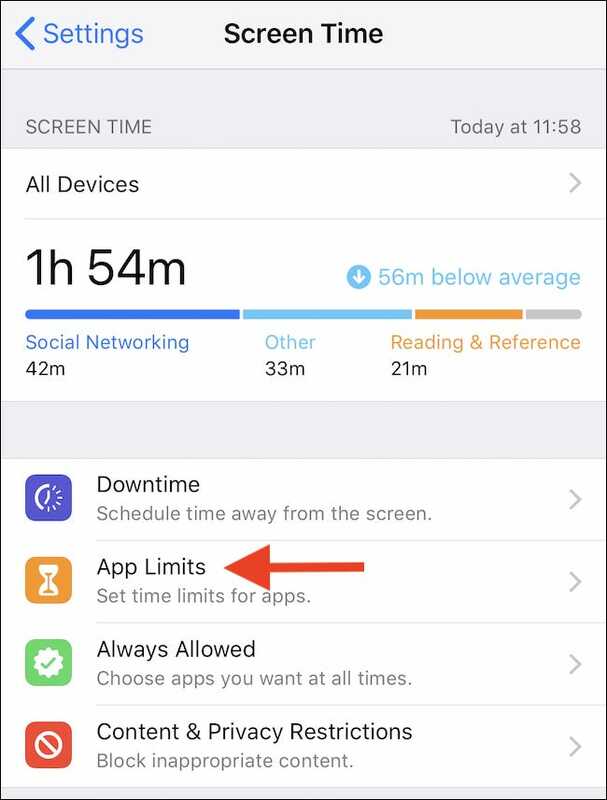 App Limits is precisely what it sounds like; it limits the amount of time you can spend using a particular app. You specify the apps (or whole categories of apps) and iOS will refuse to launch them when you’ve reached the allotted time. 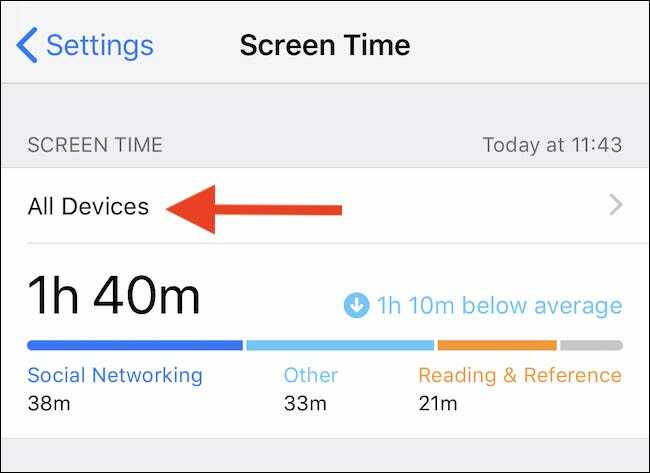 It’s great for limiting how much time children spend on apps like YouTube, for example, but can also help you if you struggle setting limits on things like your social media addiction. 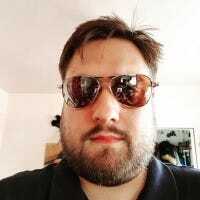 By the way, even after you reach an App Limit, you can override it by entering a passcode. That means you will never be locked out of your apps completely (unless you don’t know the code), but setting the limit still might be enough to give you pause when opening Instagram for the millionth time at 3 am. You’ll see a graph at the top of the next screen. 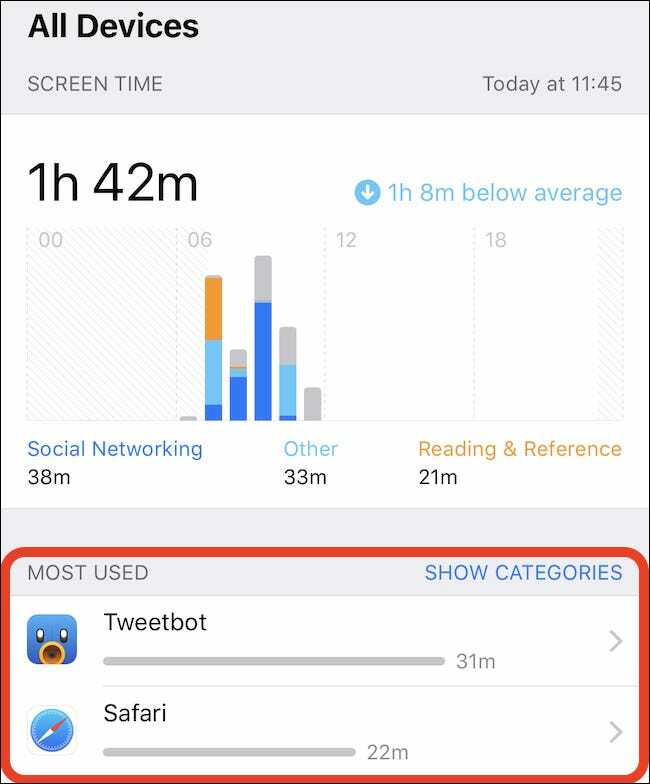 Either tap the graph or the “All Devices” option directly above it. 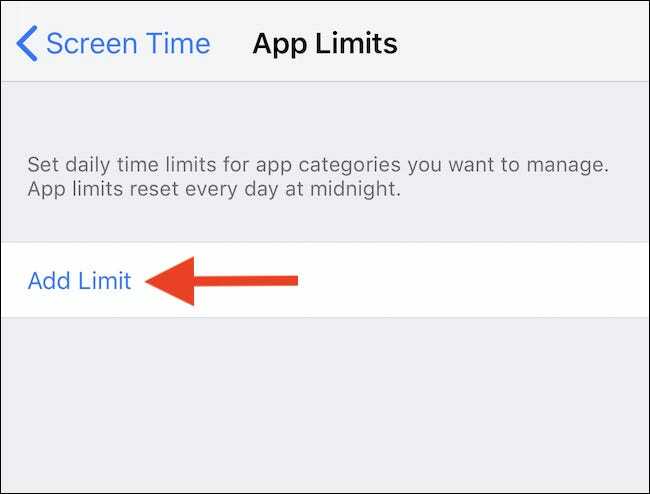 Scroll down to the list of apps you’ve been using and then tap the app for which you want to set a new limit. Tap the “Add Limit” button at the bottom of the screen. 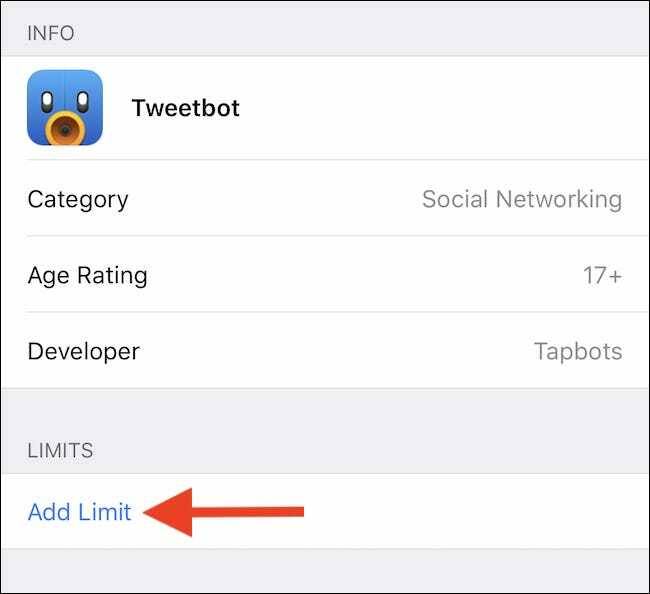 Tap “Add” to apply the changes and set the app limit. 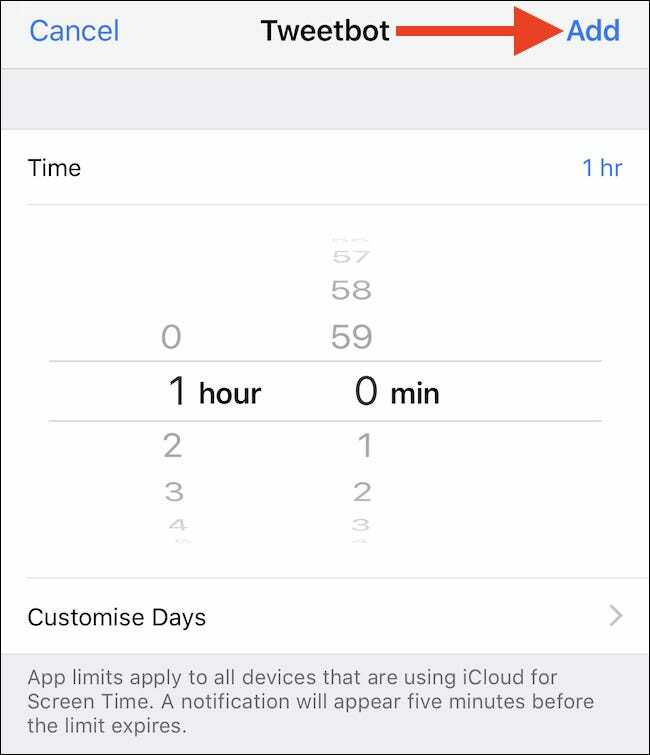 Again, the process starts in the Settings app. 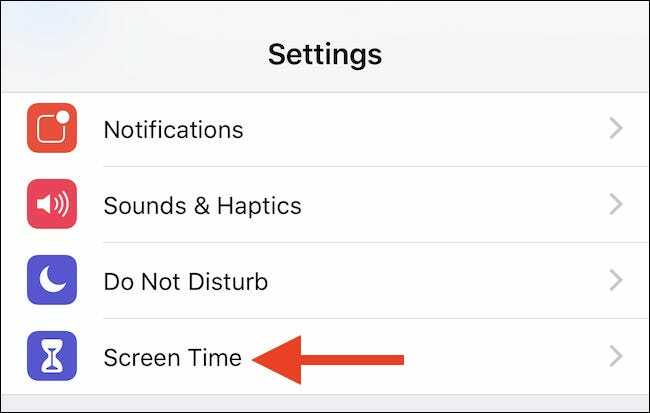 Tap “Screen Time” to view all settings related to digital wellbeing. 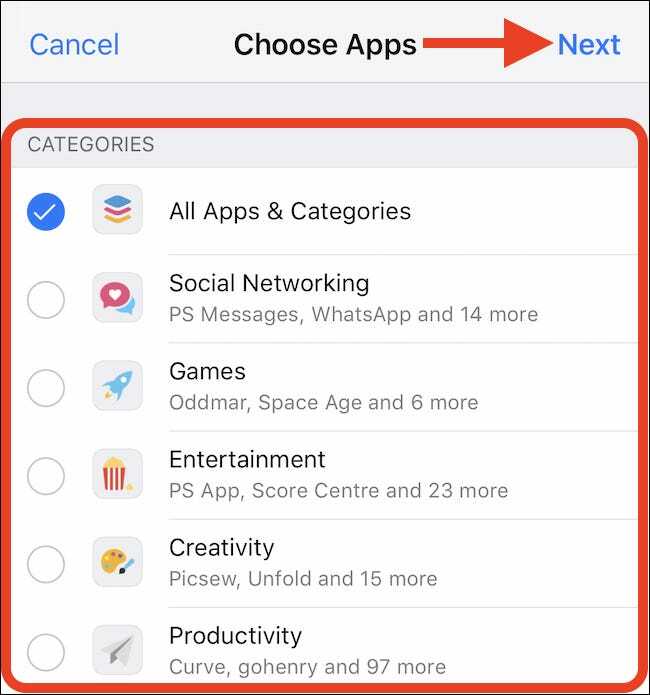 Tap to select any categories for which you want to create a new limit and then tap “Next” to continue. 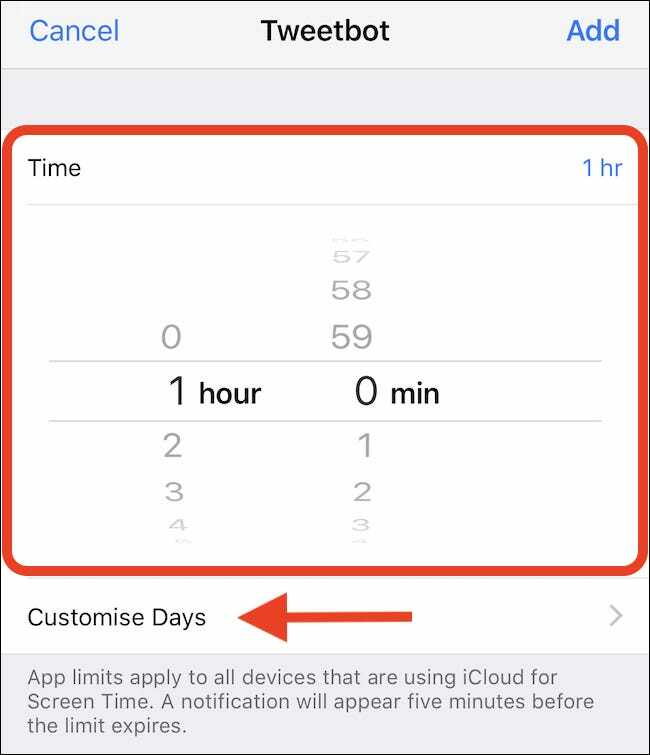 Select the time limit you would like to apply and again, if you want to set different limits for specific days, tap “Customize Days.” Tap “Back” when complete. You’re all set, and you can set additional limits if you want, too.